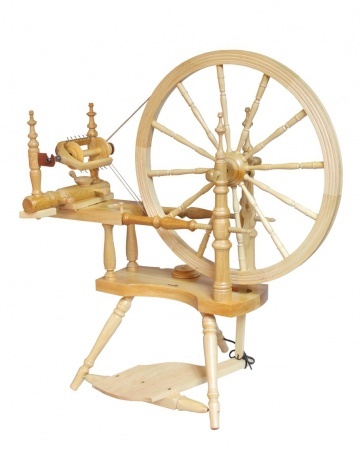 This wheel shows all the design features of a classic Sandinavian/Baltic wheel and would add a graceful feature to any spinner who has the floor space for it. 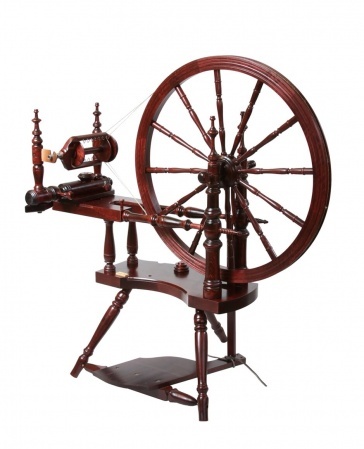 The design is faithful to wheels of the region, having the correct functioning adjustments and features functional wood threaded wheel angle adjustments so the correct angle can be obtained with the flyer. Many wheels appear to have this feature but it often does not work and is only decorative. 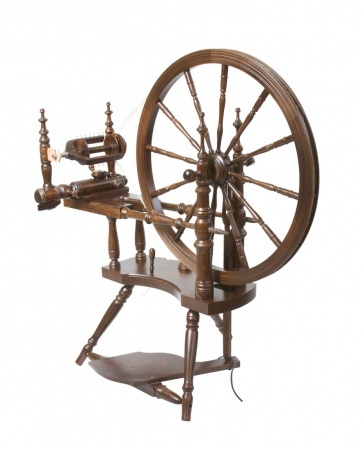 “Pin and socket” bearings support the wheel, offering low friction and exceptional ease of treadling and all of the wheel hardware sits between the wheel posts. The footman passes through the bench to the treadle. 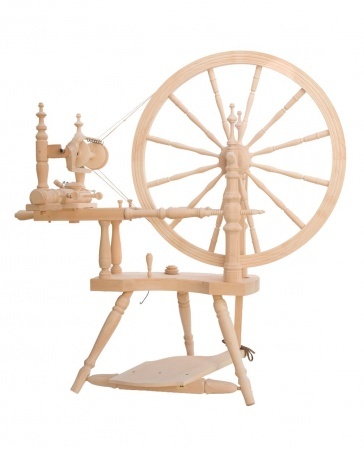 The Polonaise is made with European alder and birch and comes standard with double drive and scotch tensioning. It is a big wheel which we would suggest is not really suitable for moving around in the car. The degree of adjustment on the Polonaise makes it more suited to an experienced spinner looking to advance their repertoire of techniques.